In an interview with CNN’s Brooke Baldwin, Charles Barkley defended his previous comments that he said regarding the no indictment grand jury decision in Ferguson, the police and rioters. Barkley reiterated that he does not believe that white cops are out to shoot black people because of racism … ”That’s ridiculous.” Some, like Van Jones, have found his words inflammatory (VIDEO). Wow, that’s rich. Van Jones is one to talk about irresponsible and inflammatory comments. In typical fashion Jones misrepresented what Sir Charles previous said. What a shock from some one who used to be in the Obama administration. Sorry Van Jones if the truth hurts. During the interview Charles Barkley made a very powerful and truthful comment, “We never discuss race in this country until something bad happens.” He is correct. When something bad happens the issue then becomes polarized and spun to the agenda of the liberal MSM and race merchants. The basketball analyst for Turner Sports and former NBA great isn’t backing away from comments he made on the radio recently that people who torched buildings in Ferguson are “scumbags” and some blacks degrade successful African-Americans too often as not black enough. Barkley also agreed with the grand jury’s decision not to indict former Ferguson police Officer Darren Wilson, who is white, for fatally shooting an unarmed black teenager. In an interview with CNN’s Brooke Baldwin on Tuesday, Barkley repeatedly came back to one point: He doesn’t believe that white cops are out to shoot black people because of racism. 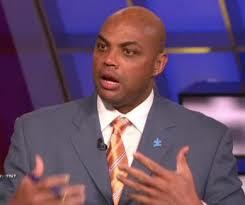 Barkley called for dialogue, and not just after a controversial incident like the Michael Brown shooting. Last week Charles Barkley had an interview on Philadelphia radio 97.5′s “The Fanatic,” that all need to listen to, especially blacks and the media. It is a must listen to interview … Charles Barkley is the voice of reason.